The English statesman and general Oliver Cromwell won decisive battles in the English civil war. He then established himself and his army as the ruling force in England and later took the title Lord Protector of Great Britain and Ireland. A remarkable ruler, Cromwell helped reestablish England as a leading European power following several years of decline. Oliver Cromwell was born on April 25, 1599, in Huntingdon, England. His father, Richard Cromwell, was a younger son of one of the richest men in the district, Sir Henry Cromwell of Hinchinbrook, who was known as the "Golden Knight." Little is known of Cromwell's childhood, except that his circumstances were modest and he was sent to the local school and developed intense religious beliefs. year after the death of his father. For the next few years he lived in London. In 1620 he married Elizabeth Bourchier, the daughter of Sir James Bourchier, a wealthy leather merchant. Cromwell then returned to his small estate in Huntingdon. There he farmed his land and played a small part in local affairs, earning a reputation as a champion of the poor. During these years Cromwell experienced periods of deep depression. After much spiritual torment he became convinced that he was the instrument of God. When Cromwell entered Parliament (the governing body of England) in 1640, Charles I (1600–1649) had ruled England for eleven years. The king had pursued policies in religion and finance, which had disagreed with many country gentlemen, including Cromwell. Furthermore, Charles I had plunged into war with Scotland, who soundly defeated the king. The mood of Parliament was highly critical. 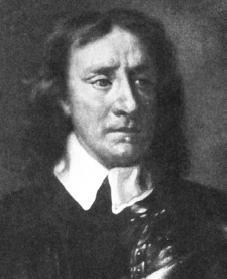 Cromwell joined men in Parliament who believed Parliament should limit the power of the king and the Anglican Church. A middle-aged man without parliamentary experience, Cromwell rarely spoke, but when he did it was usually in support of extreme measures. Cromwell was dedicated to the reform, or improvement, of the Church and of the court. He was also highly critical of the king. By 1642 there was no way to avoid war between the King and Parliament. At the outbreak of war in August 1642, Cromwell was assigned a small army of men. He rapidly demonstrated not only his skill as a military leader but also his ability to develop an effective army from his force of raw recruits. Under the leadership of the Earl of Manchester, Cromwell's commander, regiments from other counties were brought together as one force, known as the Eastern Association. Cromwell's reputation as Parliament's most forceful general was made in 1644 at the battle of Marston Moor (July 2, 1644). Cromwell's Ironsides defeated the cavalry (troops) of Prince Rupert, the most successful general of the royalists who fought for the king. The victories in eastern England, however, were not matched by success elsewhere. After two years of war, the king was still in the field, and relations between Parliament and the army were growing sour. Many disliked the price paid for alliance with the Scots and most longed for peace. Cromwell, however, yearned for victory. He bitterly attacked the Earl of Manchester. He soon emerged as the effective leader of the parliamentary armies. He proved his exceptional abilities as a general on June 14, 1645, when he defeated the royalists' army at Naseby in Northamptonshire. Within a year the royalist armies had surrendered. In 1648 the royalists rose again, allied with the Scots, but in a lightning campaign Cromwell overtook both. The republicans were then determined to bring Charles I to trial, and Cromwell did nothing to stop them. At last agreeing that the king was "a man of blood" and should be executed, he signed Charles I's death warrant. The execution of the king settled nothing. Legally the House of Commons ruled, but the army, Scotland, and Ireland were soon in rebellion. In Ireland Cromwell fought a tough, bloody campaign in which he butchered thousands of soldiers at Drogheda (September 11, 1649) and hundreds of civilians at Wexford (October 11). On June 26, 1650, Cromwell finally became commander of the parliamentary armies. At Dunbar in August 1650 he was pressed between the hills and the sea and was surrounded by an army of twenty thousand Scots. But mistakes by the Scottish commander, Leslie, enabled Cromwell to seize victory. Cromwell believed this victory was the work of God. The next year Charles II and his Scottish army made a spirited dash into England, but Cromwell overtook them at Worcester on September 3, 1651. At long last the war was over and Cromwell realized that God's humble instrument had been given, for better or worse, supreme power. For five years after the execution of the king, Parliament tried to formulate a new constitution. On April 20, 1653, Cromwell went with a handful of soldiers to the House of Commons, a part of Parliament. He shouted at the members, "The Lord be done with you," and ordered them out. For a while Cromwell and his Council ruled most effectively, sweeping away ancient tribal rule in Scotland and Ireland. He then united those countries with England under one Parliament, which was itself reformed. When the Parliament met in 1654, however, it soon quarreled with Cromwell over the constitution. He once more took power into his own hands and dissolved Parliament on June 22, 1655. From Cromwell's rule local government was brought under major generals, soldiers whom he could trust. This infuriated many. Under a new constitution and a reestablished Parliament, Cromwell took the title Lord Protector. This move also reestablished the House of Lords, another part of Parliament, and made Cromwell king in all but name. But Cromwell did not desire power as other great rulers had. He did not train his son Richard to be his successor, nor did he try to establish his family as a ruling dynasty. And at the height of his power he retained his deep religious belief that he was merely an instrument of God's purpose. Cromwell pursued an effective foreign policy. His navy enjoyed substantial success in the West Indies and he allied himself with France against Spain. These victories, combined with his effective handling of Scotland and brutal conquering of Ireland, made him a popular and powerful ruler. Shortly after his death on September 3, 1658, Cromwell's government collapsed, and the restoration of the monarchy (sole ruler) followed in 1660. Cromwell's greatness will always be questioned. As a general, he was gifted yet lucky. As a statesman, he had some success but was unable to realize many goals. Britain emerged from the Commonwealth stronger, more efficient, and more secure. Perhaps the most remarkable of Cromwell's qualities were his seriousness and his self-control. Few men have enjoyed such supreme power and abused it less. Fraser, Antonia. Cromwell, the Lord Protector. New York: Grove Press, 2001. Litton, Helen. Oliver Cromwell: An Illustrated History. Dublin: Wolfhound, 2000. Sherwood, Roy. Oliver Cromwell: King in All But Name, 1653–1658. New York: St. Martin's Press, 1997.